The Noronha skink is native to Fernando de Noronha which is in north-eastern Brazil. A lot of research has been done throughout the centuries to actually define these species, as many Scientists have claimed that this poor skink has been labelled into the wrong category. Either way, this skink is thought to have descended from the African species, Trachylepis, due to phylogenetic analysis that used both nuclear and mitochondrial genes. 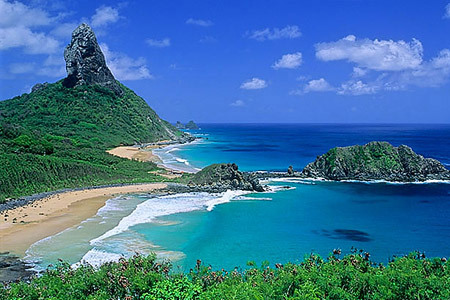 It is thought that it arrived at the island of Fernando de Noronha via the Benguela and South Equatorial Currents on rafting vegetation from south-western Africa. These translantic colonization events are thought to have occurred somewhere within the last 9 million years. 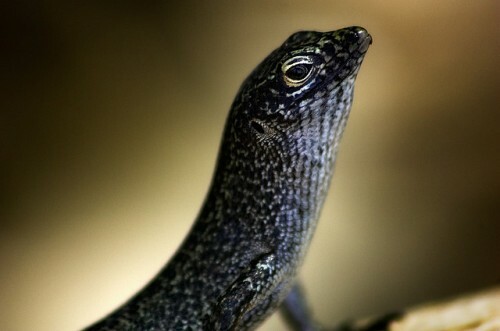 The Noronha skink is covered with dark and light spots. Its scales on its underparts are yellowish or greyish, while its eyelids are white to yellow. It has a small head with equally small nostrils. 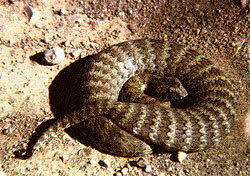 Its mouth is also small, and contains small, conical teeth and a well developed tongue. Its eyes have dark and rounded irises. Their hind-limbs are both stronger and longer than its forelimbs. Its tail is longer than the body, but it quite brittle although it is muscular. This skink is quite abundant throughout Fernando de Noronha. It is commonly seen in people’s houses, as well as the smaller islands that surround the main island of this archipelago. Apart from human dwellings, it lives in several micro-habitats – most of which are on rocks. It is mostly a ground-dwelling reptile and is an excellent climber. 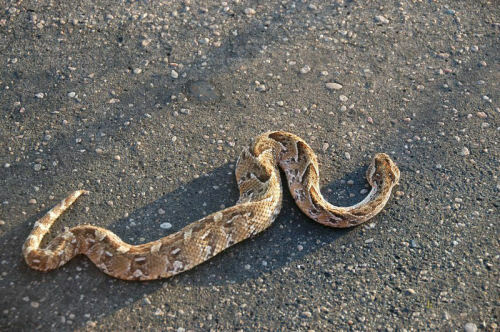 They are active throughout the day, where its body temperature is an average of 32 °C to 38 °C. Noronha skinks prefer to bask in the sun. What a great place to go bask in the sun - the favourite activity of Noronha skinks! While it is foraging, it only spends 28.4% of the time moving. Believe it or not, although this may sound a little lazy, this is actually a high value for the Trachylepis. They are opportunistic omnivores that eats practically anything that is edible. Analysis of its stomach contents indicate that it does eat plant material during the dry period, but it also eats termites, larvae, ants, and beetles. During the dry season when the mulungu tree blooms, the Noronha skink will climb up to 12 metres in order to reach the tree’s inflorescences. They will then eat the nectar of this tree by inserting their head into the flowers. It is thought that the Noronha skink uses the nectar for both water and sugar content. This way, the skinks actually aid in pollinating the mulungu tree, as the pollen gets on their scales and they leave the pollen on stigmas when they are visiting flowers.